When the temperature starts dropping, sometimes even the warmest layers just don't have what it takes. That means cutting short your winter fun as you seek out a place to warm up. The best way to get your blood pumping is to have a secret weapon against the chill. Heated vests for men warm you from the inside out and let you stay in frigid temperatures for longer. At Buckman's Ski and Snowboard Shops, we have a variety of men's heated vests that will warm your heart and keep you going. Whether you're planning a day of skiing or snowboarding on the slopes, or you find yourself struggling against the cold every time winter comes along, heated vests are the perfect solution for you. They will keep you toasty and ready to face anything a frosty day has to offer. Check out Buckmans.com for our full line of heated vests or come and visit us at one of our seven locations in Pennsylvania to see them in person. What Are Men's Heated Vests? 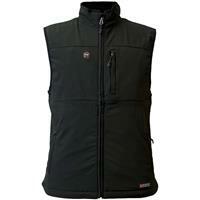 Men's heated vests provide more than warm insulation against the chill. 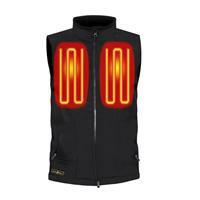 They incorporate an electrical charge to actually heat the vest from within. Rectangular pads inserted into the vest are wired with a low electrical charge that runs through it. Depending on which brand you choose, your vest will have one large pad in the back and two in the front on each side of your chest. 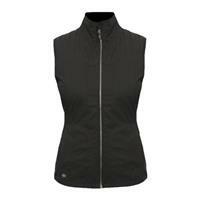 Heated vests use rechargeable batteries so that you can power up your garment before hitting the slopes. The battery is found in one of the vest's pockets in a small storage area, where it's stowed safely away. Not only do heated vests keep you warm on winter days, but they also provide an advantage for ski and snowboard enthusiasts and athletes. Participating in these sports and others when the temperature is freezing leaves your body feeling sluggish and sensitive. Warmth gives every part of your body a boost of relaxation and comfort, optimizing your performance on the slopes. Plus, heat therapy is beneficial for those who may be struggling with soreness or injury. At Buckman's, our goal is to provide you with what you need for an amazing winter adventure. Whether it's on the slopes or enjoying some snowy weather, we carry accessories, apparel, and gear to get you out doing the things you love. We pride ourselves on providing exceptional customer service whether you shop online or come to visit us at one of our shops. Best Price Guaranteed: If you find a better price than what's available at Buckman's, we guarantee to match it. Providing savings for our customers means that much to us. Free Shipping: We offer free shipping on most orders when you spend $50 or more on apparel, accessories, and gear. Green Initiatives: In an effort to protect the outdoors we love so much, we've introduced green practices into the way we do things, from recycling to outfitting our corporate headquarters with a solar energy system. If you need to ask us any questions, whether it's about our products or our favorite places to shred up the slopes, contact us today. Buckman's is here to outfit your next winter getaway!